Reduce your restocking and cleanup efforts during peak hours. Drug stores must stock a vast assortment of beverage products to please the wide-ranging needs of customers. 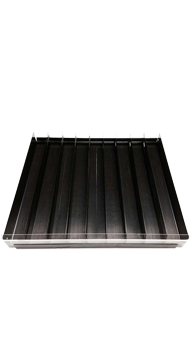 An attractive, orderly display allows shoppers to easily locate their product of choice. 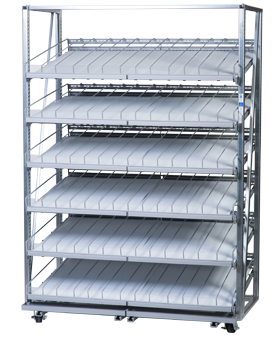 Gravity flow shelving from B-O-F drastically reduces restocking and cleanup efforts, especially during peak hours. Out-of-stocks are minimized, while sales and profits are greatly enhanced. B-O-F gravity flow shelving improves dairy sales by allowing a wider assortment of milk, yogurt, and various dairy products, while hiding spills and making clean up quick and easy. Shoppers demand variety and meeting that demand can be challenging for drug stores. Our solutions make it easier for drug stores to attractively display more variety while lowering stocking labor costs up to 33%. Customers who can’t find their favorite brands often walk away unhappy. Recapture lost customers with gravity flow shelving, which stocks up to 300% more cold beer product than flat shelving systems. 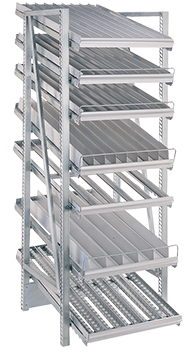 Gravity flow shelving can increase sales, while reducing your restocking and clean up efforts!